Helps a student understand his rights and responsibilities! Excellent for the entire family to do! 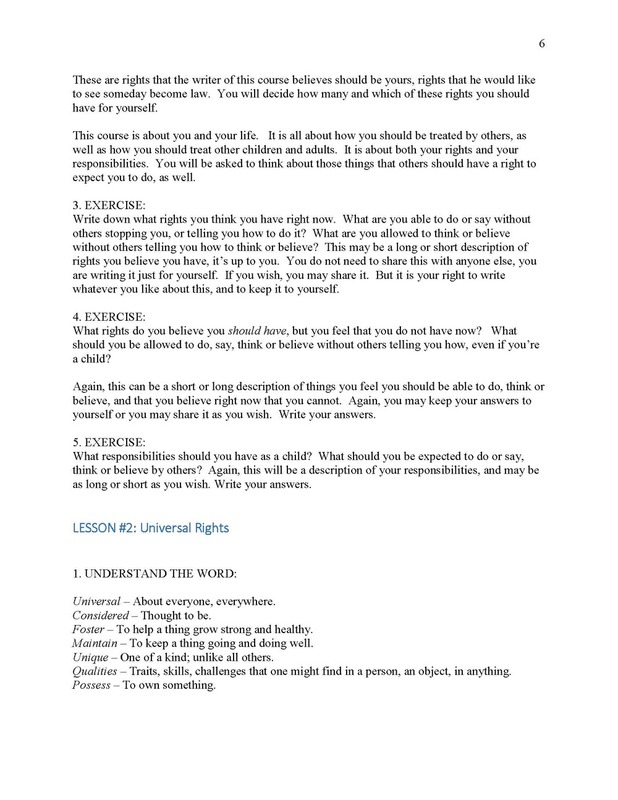 Here is a course for Step 3-4 students, ages 9-17, all about their rights as children. 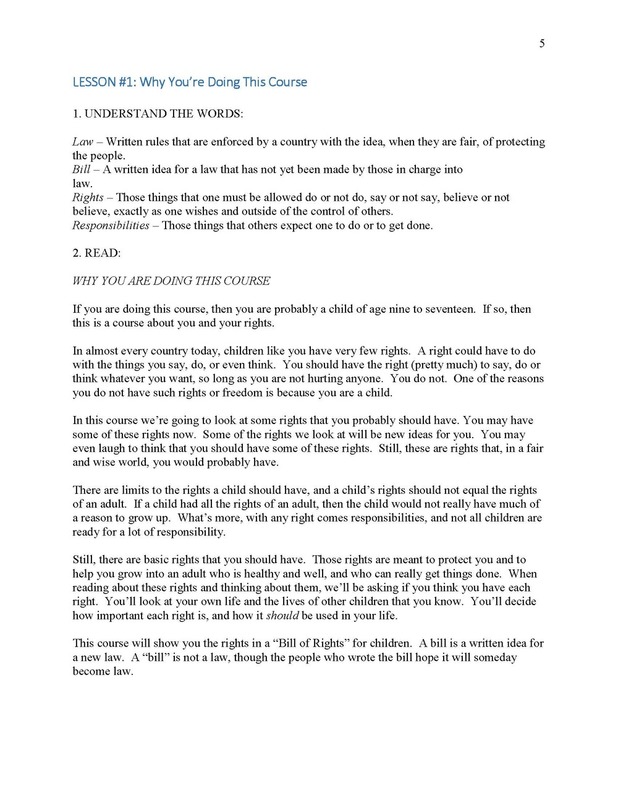 Based on a Children's Bill of Rights & Responsibilities, this course opens up a world of ideas for a child as to his rights and responsibilities. Where rights are concerned, it's not much fun to be a kid. Children are generally seen as their parent's property, and are often treated accordingly. A fine course for parents and children to do together!